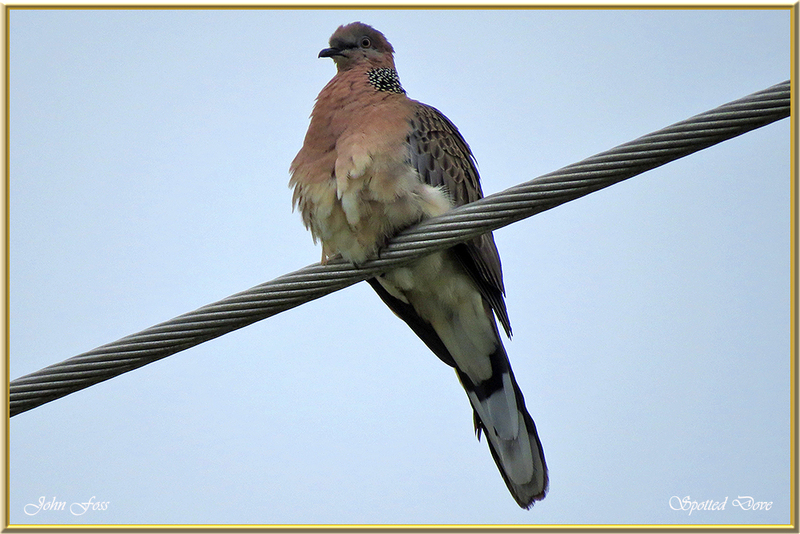 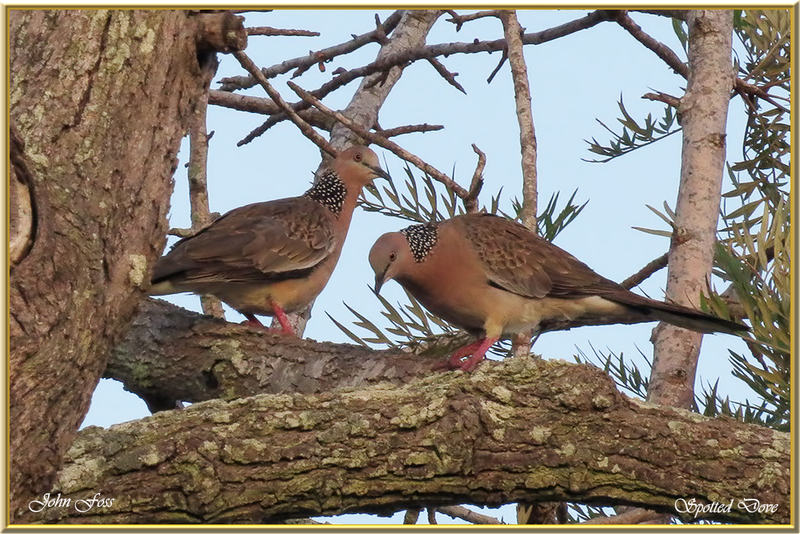 Spotted Dove - found in light forests and gardens as well as in urban areas. 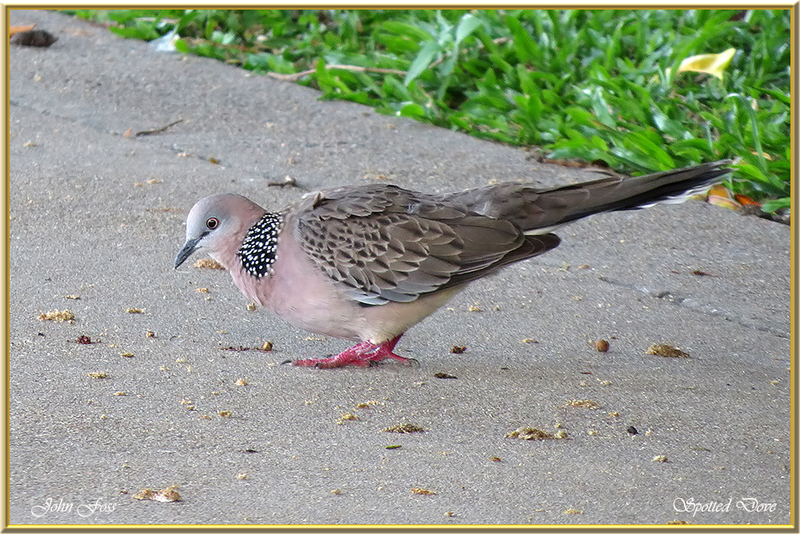 They feed on the ground where they forage for seeds and grain or on low vegetation. 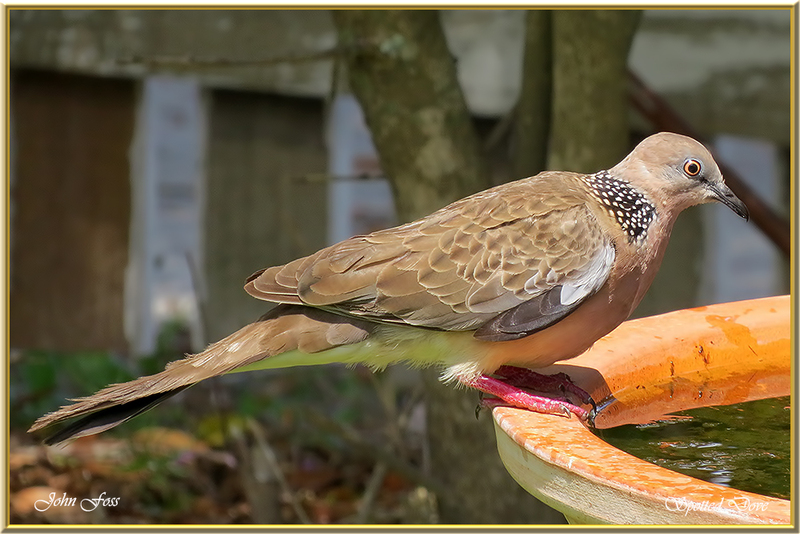 Common around human habitation and can easily be seen in parks, gardens and agricultural areas. 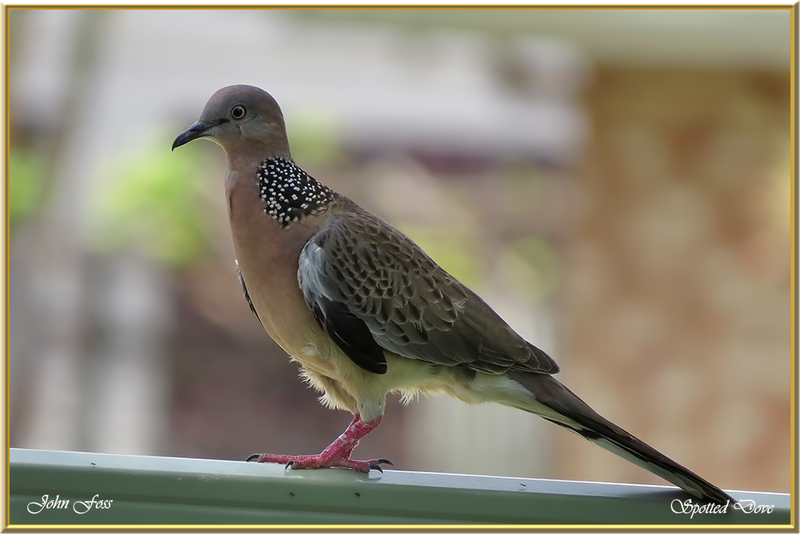 Photographed in Bundaberg Queensland Australia.